We are one of the eleven Macomb churches that support the Loaves and Fishes Food Pantry. April is our month to stock the shelves each day, unload food from those delivering items from the food bank in Peoria, and otherwise maintain the pantry. 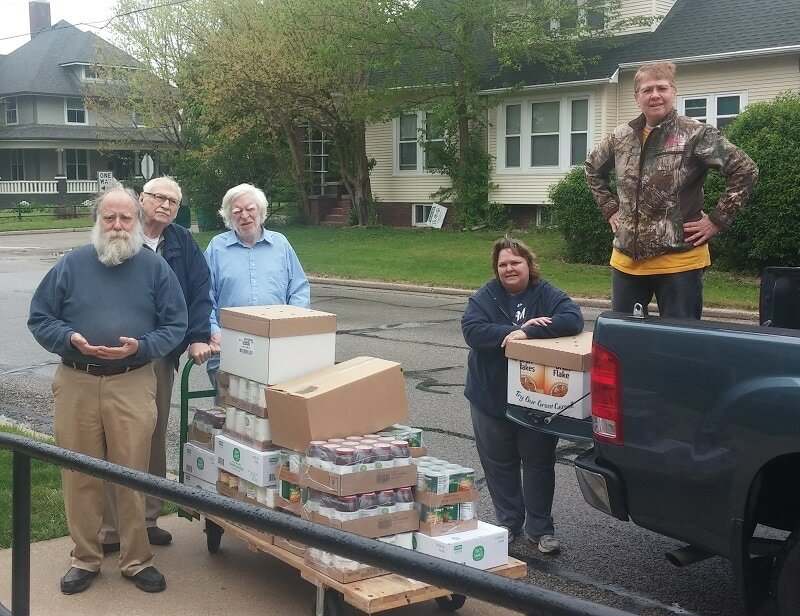 These pictures illustrate our sorting food from donations during Greek Week and from the food bank in Peoria and unloading a large purchase from Hy-Vee. 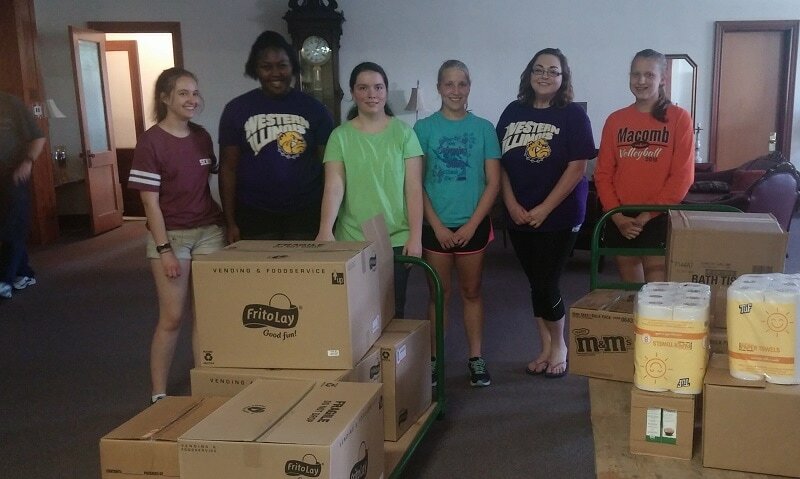 For one event pictured below, we were aided by students in MYLO, Macomb Youth Leadership Organization. We share these duties with St. George's Anglican Church.